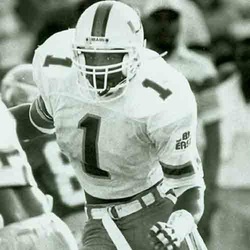 Jessie came to the University of Miami in 1989 from Carter High School in Dallas, Texas, having been selected Superpro Magazine's Player of the Year and said by many to be the number one collegiate prospect at any position. Jessie had an immediate impact as a freshman, playing in all 11 regular season games and helping the University of Miami win its third National Championship in 1989. He started fast as a sophomore, starting the first four games as weakside linebacker before a season ending knee injury. As a junior he started all 12 games at linebacker, after overcoming reconstructive knee surgery, and finished third on the team with 99 tackles. His strong defense helped lead the University of Miami to its 12 and 0 season, a 22 to 0 win over Nebraska in the Orange Bowl and its fourth National Championship. In his senior year he was 1/3 of the lethal linebacking crew of Armstead, Darrin Smith and Micheal Barrow, leading the 1992 team (despite a severe setback resulting from Hurricane Andrew) to a consensus number 3 final ranking and Miamis 51st consecutive victory in the Orange Bowl. Jessie was taken in the 8th round of the 1993 draft by the NFLs New York Giants and played 9 years with the Giants, 2 years with the Washington Redskins and later with the Carolina Panthers. Jessie was selected to play in five Pro Bowls.